As a Miami resident surrounded by beautiful beaches, my wife and I love to do something completely different and visit other people’s beaches on our vacations. So this time, we packed up our swimsuits and and headed to Myrtle Beach in South Carolina. I really didn’t know anything about Myrtle Beach and was surprised to discover it is quite the family vacation spot. Not only do they have beautiful beaches, but it’s packed full of family entertainment like water parks, amusement centers, the Carolina Opry, an aquarium, and Elvis. That’s right, Elvis. He was there performing at a place called “Legends” which came as a bit of a surprise. One doesn’t usually put Myrtle Beach and Elvis together; especially during the off-season. A “Legends” advertisement said their show was a musical celebration which not only included Elvis, but several other of the most “iconic entertainers of all time.” Needless to say, I bought tickets. As we entered the 500 or so seat auditorium on a Monday night, we were greeted by non other than Barry White. He was kind enough to pause for a photo which we were able to purchase at intermission for $20. It’s been a while since Barry has had a hit song, so I’m assuming these photo ops are helping him pay the rent. Barry White was the first performer of the evening and sang several of his hit songs. He was a bit taller and leaner than I had remembered, but his booming baritone voice sounded as good as ever. After Johnny’s 20-minute set, I could hardly believe it when John Belushi and Dan Aykroyd came out to perform as the Blue’s Brothers. I’ve always loved, “Everybody Needs Somebody to Love” and those dance moves crack me up. Belushi had trimmed down some and Aykroyd didn’t look a day over 40. How do those hollywood types stay looking so young? Needless to say, by the time Elvis came out, the entire audience was pretty pumped up. The last I had remembered, Elvis had packed on a few pounds, but he had obviously been working out and dieting and could now fit back into his tight leather pants. We were clapping and whistling and singing along to hit songs like “Hound Dog” and “Suspicious Minds.” He even managed to kiss a few ladies in the front row while singing “Can’t Help Falling in Love.” It’s good to be Elvis. Elvis was born in 1935 so I was amazed that despite his age, he could still gyrate those hips in the same way that used to drive TV censors crazy. Today, unless you’re swinging naked on a wrecking ball, most censors don’t even notice. Anyway, his hips were as flexible as ever and his hair still spilled over his forehead which, for some reason, makes ladies swoon. The show ended with all our “iconic performers” coming onstage to sing a finale together. As the song crescendoed to its final climatic end, we were all on our feet cheering and hollering. Apparently, I wasn’t the only one amazed that somehow, on a Monday night in Myrtle Beach—during the off season—this little venue had amassed such an impressive group of performers. 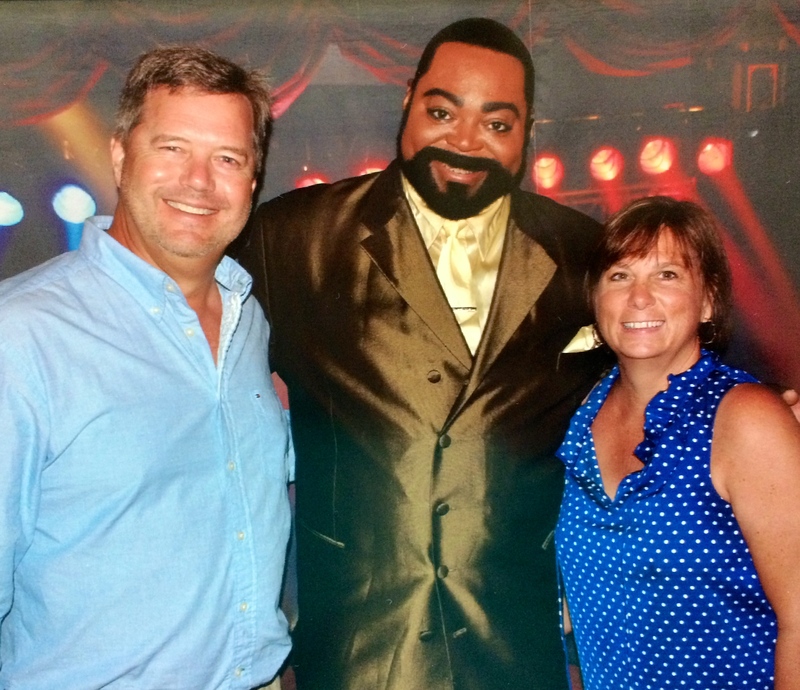 I personally promised Barry White I was going to tell all my friends about their show. He just smiled and in his deep and resonate voice said, “I can’t get enough of your love, babe.” I thought he was a bit forward, but a promise is a promise.